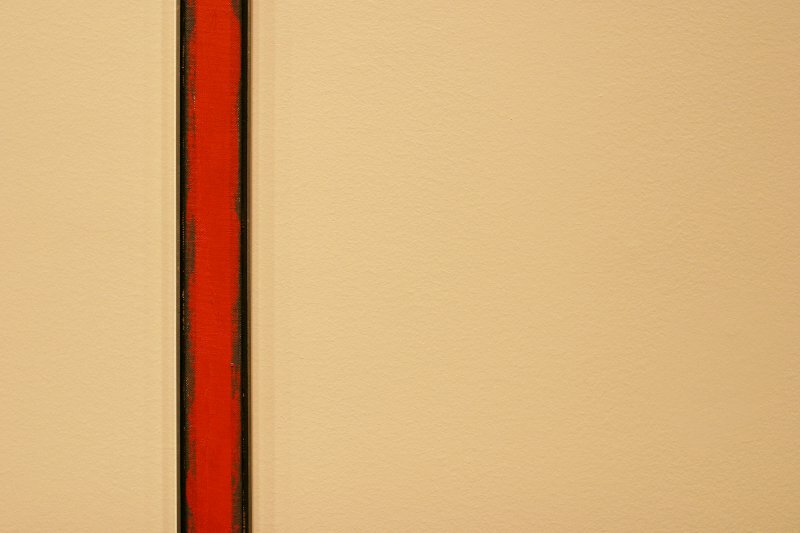 A closeup of 'The Wild' by Barnett Newman - 1950. A painting (with narrow frame) of one of the vertical 'zips' from his much wider 'Vir Heroicus Sublimis' painting. It is just over 4 cm wide, and almost 8 feet tall. One of the many wonderful works at the AGO's Abstract Expressionist New York.